What? Haven’t heard of it? Don’t feel too bad about that, most people haven’t. Those who have are either from various parts of Western Europe, or are very curious, musical expeditionary types like myself, not satisfied with the mainstream, especially this past decade. Ah.. the ’80’s and ’90’s of my adolescence when much mainstream music was actually quite good! Are you wanting some musical variety? Well.. you might want to give Celtic music a try. It’s probably like nothing you’ve heard before, and may take a little getting used to, but so worth it! What is Celtic Music? Good question! It’s traditional music (or based on traditional music) from Ireland, Scotland, England, Wales, and parts of Spain and France. The main instruments used by most Celtic bands are guitar, fiddle (violins are called fiddles when discussing Celtic, country western, American folk, bluegrass, etc. ), some form of bagpipes – great highland pipes of Scotland – what most people think of when they hear the word “bagpipe,” but also the Irish pipes, called uilleann pipes, which are played sitting down – if you’ve seen the movie “Braveheart,” you’ve heard uilleann pipes. There was a scene in that movie where a piper was seen playing the great highland pipes in the distance, but the sound, obviously recorded in post-production, was from Irish pipes! Rather ironic. Right then, so, guitar, fiddle, pipes… other commonly used instruments are the Irish hand-held frame drum called the bodhran, tin whistles (also called pennywhistles) and low whistles (pennywhistles in lower octaves), and octave mandolins – larger mandolins which are an octave lower than standard mandolins. Sometimes Cetlic harps, flutes, concertinas, accordians, dulcimers, especially the hammered kind, and various percussion instruments like wooden spoons are also used. The music can be very fast, or quite slow, depending on the tune. Many Celtic tunes are fairly repetative, and perhaps this is why some people don’t like some Celtic music.But, even though they are somewhat repetative at times, many have intricate patterns, require major skill to play, and are great to dance to! There are tons of Celtic bands out there. Some of the more famous ones are The Chieftains, Altan, Clannad, The Corrs, and Cherish the Ladies. There are many many others though. You might want to check out such groups as Golden Bough, The Bothy Band, Donal Lunny, Banshee in the Kitchen, Molly’s Revenge, and for a really wild experience, The Wicked Tinkers. The Wicked Tinkers play a kind of music they call “Tribal Celtic.” Four guys – two on drums, one on a massive didgeridoo, and one on bagpipes. There’s even a Christian Celtic band called The Crossing. I don’t dig the Christian lyrics since I’m not a Christian, but the band is very good, and I listen to their instrumentals. There is a sub-genre within Celtic music called Celtic Rock. Celtic Rock bands have the usual electric guitar, bass guitar, and drums, and singer, but also add a fiddler, and bagpiper or someone on electric mandolin. 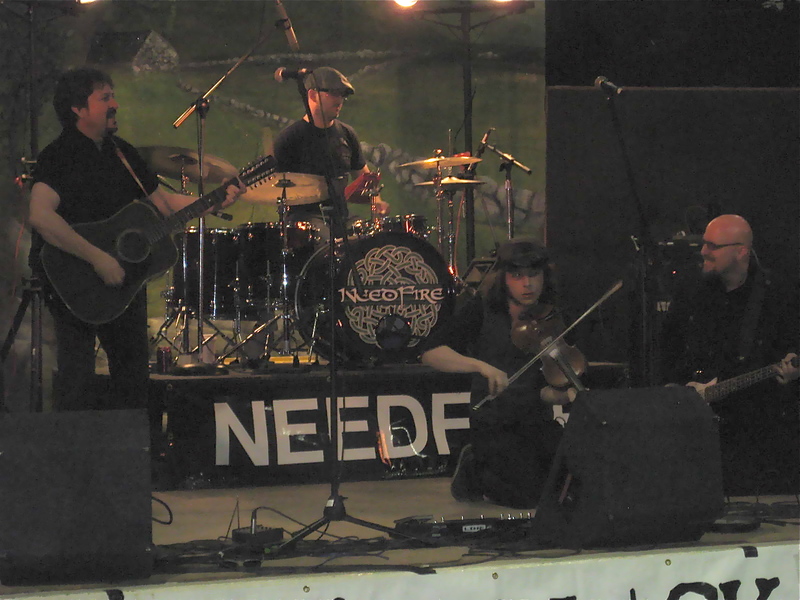 My favorite Celtic Rock group is Needfire. I also like Tempest, Wolfstone, and 1916. (Odd name for a band, 1916 – I don’t know what happened in Ireland in 1916). There’s a fairly well-known rock band called Flogging Molly, which could be considered Celtic Rock. There’s even a punk band that does a few Irish tunes. This band is from Boston (big surprise), and is called Dropkick Murphys. If you want Celtic mixed with Jazz, check out the group Sligo Rags. There are many many more groups out there than those I’ve mentioned. A good place to start would be the soundtrack to “Riverdance.” It’s one of my favorite albums! INCREDIBLE tunes, brilliant, so well played, and you get music from several countries. Want to check out Celtic music for free without pirating anything? Head over to youtube. Type in “Celtic Music,” or any of the bands I’ve mentioned. Some of the groups I’ve listed are more mainsteam pop-celtic (such as the Corrs and Clannad) some are more traditional. Keep searching on youtube and you just might discover music which you’ll come to dearly love! And, if you are not from the UK, Ireland, France or Spain, no worries, neither am I. Nice mention on The Crossing AND Braveheart. Maybe you’ll like the lyrics to some of those songs one day too. Good stuff you got here. Actually I used to like the Christian lyrics from The Crossing.. long story.. but some of their lyrics are from traditional songs and/or on other subjects, and I like those songs. “There Were Roses,” – powerful! The vocalists, as well as the musicians, are excellent. It’s amazing the music that comes from urban Chicago!